Rachel is a specialist family law barrister with a particular interest in the financial aspects of family breakdown and the arrangements for children after parental separation. She handles a broad caseload of financial remedy matters, including those brought under Schedule 1 of the Children Act 1989, and private law children, some of which have local authority involvement. Rachel has a particular interest in intractable private law matters. She co-authored and presented a paper for the 6th World Congress on Family Law and Children’s Rights in Sydney, Australia on this issue in 2013. Rachel was awarded the International Professional and Legal Development Grant to assist her in presenting this paper in Sydney. Rachel has also been led in the Supreme Court in the matter of A (Children)  UKSC 60 by Baroness Scotland QC and Ruth Kirby on behalf of the Centre for Family Law and Practice. 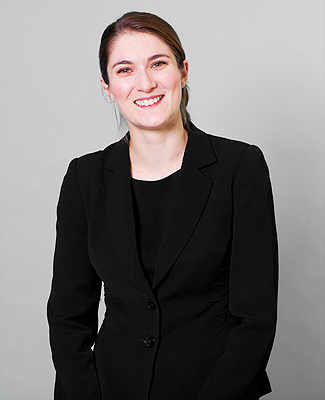 Rachel regularly represents clients in all levels of the family court and High Court. Rachel has wide-ranging experience of public law children matters. She has been led by Jane Probyn and Alison Grief in a number of lengthy fact finding hearings concerning the death of or serious injury caused to children. In 2014, Rachel was awarded a Pegasus Scholarship which enabled her to work with the legal charity ‘TRIAL: Tracking Impunity Always’ in Sarajevo, Bosnia for three months. Rachel is also a trustee for the children’s education charity, Jacari. Rachel worked as a paralegal at the Children’s Legal Centre in London before starting pupillage. She has also worked in the United States as an intern at The Louisiana Capital Assistance Center in New Orleans.